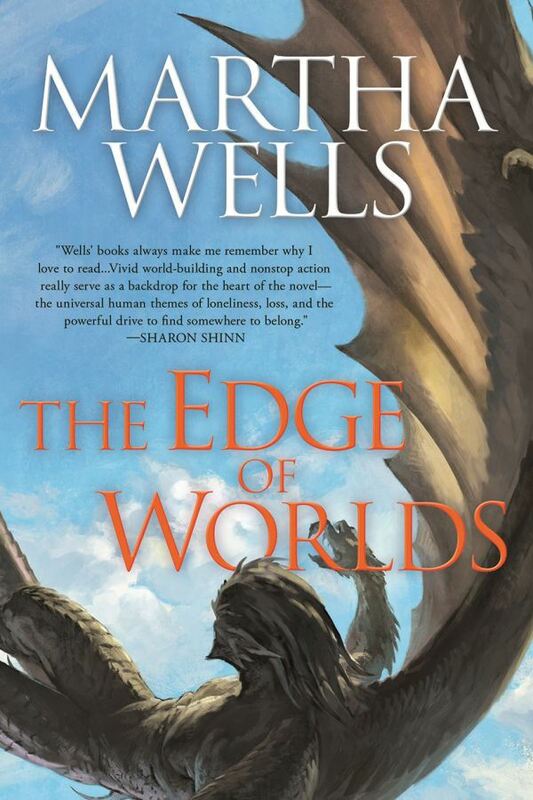 For bold readers, The Edge of Worlds would be a fascinating way to dive into Martha Wells’ Raksura series. Like the books that have come before it, it’s a rich world populated by bizarre creatures and strange landscapes. From floating islands to winged, shapeshifting humanoids, it’s a feast for the imagination, especially considering there are no humans whatsoever in the series. With this being the beginning of a new adventure, new readers can dive in here if they don’t mind missing out on the references to previous books. For the longtime readers, however, get ready for another fun journey. In this tale, the Indigo Cloud court shares a shared dream of a Fell attack. Then a strange flying vessel arrives in the Reaches. It leads to an adventure out into the ocean toward an ancient, impenetrable city. The Raksura must brave Fell attacks, strange groundlings, and unlock the mysteries of a forerunner/foundation builder citadel knowing their very doom could lie just around the corner. Cloud lies at the heart of the story, serving as the reader’s touchstone as it unfolds. Jade, Chime, Stone and several other familiar characters join him, including the groundling Delin and the sealing Rorra. They encounter new species, secrets and threats. For those new to the Raksura series, it’s not an action packed story littered with violence. Rather it’s a slow build of colorful characters and imaginative surroundings that engulf and submerge the reader. It’s more of a peaceful escapism than an action packed adventure. But there is action, there is violence, and there is turmoil. What begins as a scientific expedition eventually turns into chaos. It also leaves the book on a cliffhanger making the next book in the series a must read. As a fan of the series, I really enjoyed The Edge of Worlds. Martha Wells laid out another exotic trip into the realm of the Three Worlds and the Raksura. There’s peaceful moments, mystery, exploration, discovery, action, pain, betrayal and adventure. The ending left me pumped for the next book and I can’t wait to see what happens next. The Three Worlds is one of my favorite places to escape to, and this book delivers. I give it a five out of five metal bikinis.